When you hear a child tell you what she or he wants to be when they grow up, how closely do you listen? Do you take her words to heart or do you nod and say “uh-huh” knowing that her ambitions will probably sound completely different by the end of the day? It’s understandable to shake your head complacently when he says something like “an astronaut,” or “a princess” or even “an undercover spy,” because it’s likely that you are thinking about how implausible something like that might be. But, I challenge you to humor that child, even if just for a moment, by genuinely saying something like “okay, how do you plan to do that?” I mean, you really never know. You just might be laying your eyes on the next Amelia Earhart or Neil Armstrong. Or Barack Obama. Or Maya Angelou. I bring this up because as a child, one of the many things I said I wanted to be when I grew up was an author. I knew all the way back then. I was blessed to have family members who humored me, and teachers who encouraged me. Although, I will say that one of my other very early ambitions was to be Michael Jackson, and that one didn’t pan out too well. But the “being an author” aspiration did come true, of course. My journey to authorship spans way back to my elementary school years, and probably even earlier than that. I reveled in receiving creative writing assignments from teachers. I loved coming up with stories and using the perfectly picked words to coax those stories out of my head to capture them on paper. This expanded beyond class and I’d find myself writing stories and poetry outside of school, just for fun. Fast forward fifteen years or so, and you would have found me as a UCLA student, sitting in my apartment and feverishly scrawling out a story about a young protagonist who wanted to jump to the moon. With research and lots of editing and refining, IMANI’S MOON was born, finalized several years later, and then published on October 14, 2014! In addition to expanding my love for writing, my earlier experiences also built up resilience and confidence in me, too. Those positive adults—the ones who said “okay, make it happen,” and “work hard and you can do it,” instead of “yeah right,” or “sure you will [sarcastically],”—helped me to increase my perseverance, determination, and belief in myself. My path to publishing, meaning me actually putting effort into selling my written works, took eight years to come to fruition. I’ve sent out many manuscripts, including IMANI’S MOON, where I got rejection after rejection after rejection (with a few poetry sales that have yet to be published). But I kept on. I keep on. 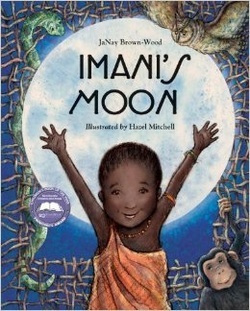 IMANI’S MOON was actually published because I won a contest for the National Association of Elementary School Principal’s Book of the Year Award, with the prize being a publication contract. I have also signed a contract for a second picture book with a tentative release date of Fall, 2016. What if I hadn’t kept on? On top of my encouraging experiences leading me to fulfill my dream of writing, inspiration has also played a part in my publication journey. Dr. Seuss has always inspired me. As a child, I enjoyed his silly stories and whimsical writing. Whenever my dad read his words to me at bedtime, Seuss’s stories came to life even more vibrantly. Additionally, I am in awe of J.K. Rowling’s ability to not only write a spectacular series, but in her creation of a completely new world, culture, and Magical/Muggle movement. She gives me something more to aspire to. I’m also inspired by the voices of writers such as Langston Hughes, Andrea Davis Pinkney, Zora Neale Hurston, Nikki Grimes, and of course, Dr. Maya Angelou. I hope to make my mark on the world or writing in a powerful way like each of these groundbreaking authors has. I also find inspiration beyond books in nature and the beautiful landscapes I see, in music from India Arie and Jeanette Harris (a fantastic saxophonist, and my cousin too—you should check her out) to name a few, and in strong people chasing their ambitions in life. One of my biggest inspirations comes from First Lady Michelle Obama and her poise, intelligence, and unwavering strength. As you see, my inspiration as a writer, but also as a woman of color and a young professional, comes from so many who have come before me. Just as those who have inspired me, I hope to inspire others to continue chasing their dreams, to continue making positive waves in the world so they too can create a ripple effect of inspiration and change. I feel that this is relevant, especially when we think of the current state of children’s literature where so few characters look like me or others of color. Although not all of the characters I write are of color, I think that my voice and who I am can add to children’s literature in a way that will empower others. I was thrilled to hear about the Brown Bookshelf, the We Need Diverse Books campaign, and the reintroduction of Reading Rainbow, each important vehicles for moving our field of literature forward. I want to join in that push! 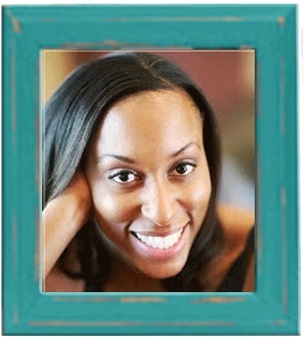 Thus, I am ecstatic to make my appearance as a writer of color. I plan to keep honing my craft and to keep improving so I can continue to share my voice in an encouraging way. Upon reflecting on the past few months since the publication of IMANI’S MOON, I think I am off to a positive start. My book has received a number of great reviews including encouraging sentiments such as “…a message of hope and gentle lyrical tone make this the perfect story with which to lull listeners into sweet slumber…” from Booklist, “a story of determination with magical realism,” from School Library Journal, and “…Imani, with her winning personality, is a child to be admired” from Kirkus. Additionally, IMANI’S MOON has received five hearts from Foreword Reviews and an Outstanding from the Association of Children’s Librarians of Northern California. You can find links for a number of other reviews for my book on my website www.janaybrownwood.com as well as the fabulous book trailer created by the illustrator Hazel Mitchell. Also, I am readily booking events and school visits to share my book with the world (you can contact me through my website if you’d like to book a school visit). My heart is so full from all the wonderful feedback I’m getting about my book. So to wrap up this blog post, I just want to remind adults that as children are stating what they want to be when they grow up, humor them just a little, and encourage them a lot to be hard-working, perseverant, and resilient. This will serve them well because even if they do not end up as astronauts or princesses or spies, your encouragement will help them become strong and determined individuals who know how to seize the day, or leap to the moon. And remember the words of a Maasai proverb which says “The children are the bright moon.” Why not help them shine their brightest? The trailer is absolutely adorable – I love the illustration of the big-headed baby with his arms up in joy. What a timely reminder about challenging the status quo – for all ages. Great look at the author and book. Thanks! Congrats on the publication of your book. I love the story and the illustrations. I appreciate your passion for writing and encouraging children to dream. I wish you a lot of success with your writing.